intriguing first page – check. 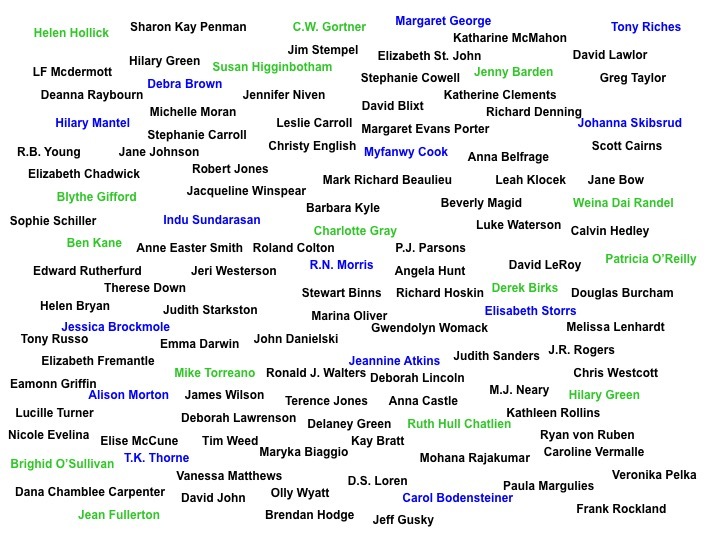 Brooks, a Pulitzer prize winner for her novel March, had many votes for favourite historical fiction author in 2012, 2013 and 2015. The Secret Chord reveals the man behind the legends, a man with both great strengths and great failings. Told from the perspective of Natan (Nathan), the king’s prophet, Brooks has created a compelling drama of David’s life. I couldn’t put it down. Brooks engages all senses immediately and consistently throughout the story. She offers names, language and imagery of the time: merkavot for chariot, stela for an upright stone slab, “picking at the skein of my deeds like a woman at her weaving basket”, eved hamalek which means servant of the king, Beit Lehem for Bethlehem — and these are in the first chapter. (2) Superb writing – Brooks’s prose flows almost like a song, giving the feeling that she has polished every phrase to a glossy, lyrical shine. Scenes are well structured, and very little – whether dialogue or description – seems superfluous. Long sentences are artfully interspersed with shorter ones to provide pleasure in the reading. Each chapter left me eager to turn the page. (3) Characters both heroic and human – kings, generals, prophets, warriors, royal wives and their children populate the story with jealousies and love, heroic deeds and barbaric ones, great wisdom and blind stupidity, loyalty and betrayal, deaths and births, friends who become enemies, enemies who become friends. Told through Natan’s voice in first person, two characters dominate, King David and Natan his prophet, although many others enrich the story. Through David’s eight wives we see great love and passion as well as political shrewdness and cruelty. His pampered sons and daughter show us the tender side of King David along with his blindness to their faults and rivalries. Those who are trusted advisors include David’s nephew Yoav (Joab) who becomes his leading general. Brooks gives us a full accounting of David’s rise to power, the forging of a unified nation from the tribes of Judah and Israel, the formation of what will eventually be called Jerusalem and the destruction of all but one of David’s sons. And even if he didn’t live, The Secret Chord offers a clear window into the way people lived, thought, fought, and survived so long ago and the faith that sustained them. (5) Dramatic arc of historical events – Geraldine Brooks has written a superb drama. Every chapter reveals the dilemmas and challenges of the times, building to a climax that is hugely rewarding. 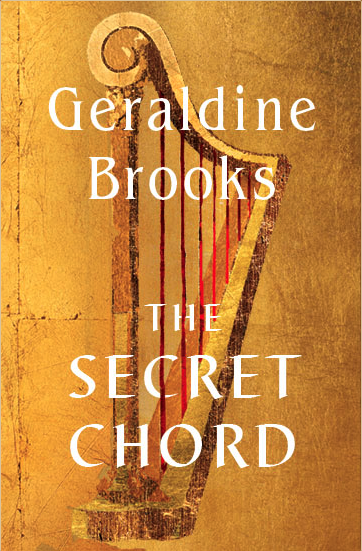 The Secret Chord, whether based on myth or truth, will captivate you from beginning to end. Two additional thoughts: (1) time shifts were not always distinct, so I occasionally struggled to know where I was in the story, and (2) at the beginning, ancient names like Shmuel for Samuel and Shaul for Saul added unnecessary challenge to deciphering who was who. I’m stingy with five star reviews, but, in my opinion, this one deserves such a rating. For the highlights of King David’s tumultuous life check out this article on Wikipedia.